Dear Old Hollywood: Jim Rockford and the "Paramount House"
Jim Rockford and the "Paramount House"
In The Rockford Files season 2 episode, "In Hazard," Jim Rockford (James Garner) discovers a body inside the garage of a suburban house. 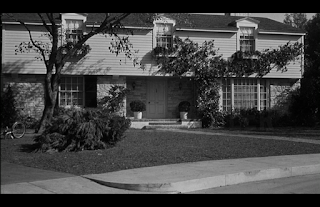 The home just happens to be the former "Paramount House" which used to be located on Universal Studios Colonial Street backlot and was originally constructed for the film The Desperate Hours (1955) starring Humphrey Bogart and Fredric March. Below is a comparison of the Paramount House as seen in The Rockford Files episode and in The Desperate Hours. 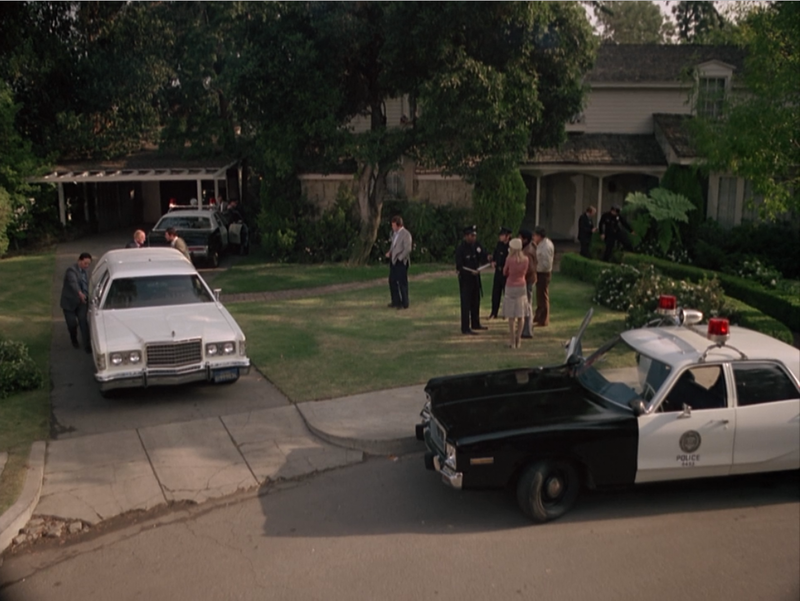 The "Paramount House" in The Rockford Files. The Paramount House as seen in the film The Desperate Hours. 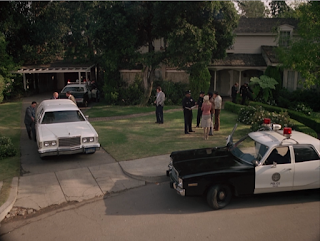 The house looks mostly the same except for in The Rockford Files episode there is the addition of a lower roof. What I find most interesting is seeing how the tree in the front lawn has grown in 20 + years between Desperate Hours and Rockford Files. The tree trunk and branches still maintain the same shape, but by the time of the Rockford Files the tree is much larger and fuller. The 2nd Leave it to Beaver house after they moved from Republic to the Universal lot. 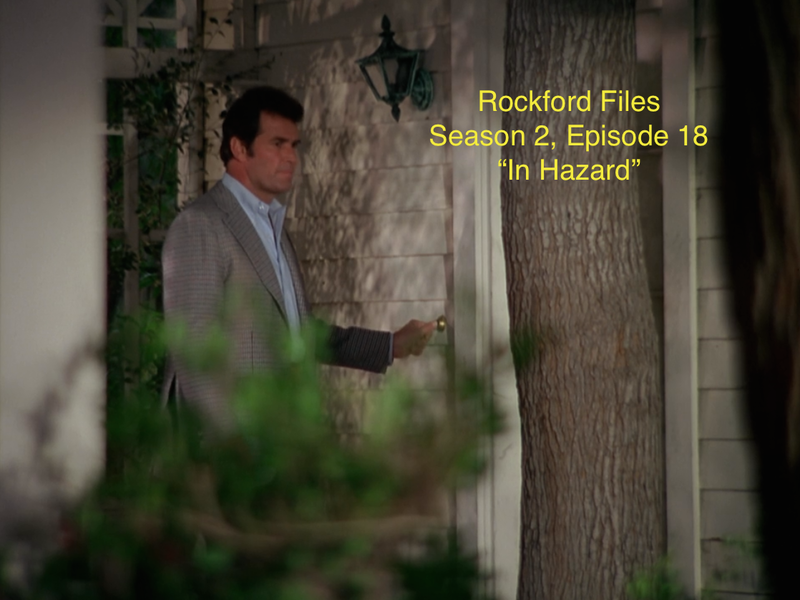 I've been watching the Rockford Files and one of the reasons I love it is all the on location filming. Great post! This also looks like the second Cleaver house on "Leave it to Beaver"? This house was also used as Marcus Welby's house. I use to eat lunch on the front porch during breaks. Also the Youngs house in desperate housewives series.